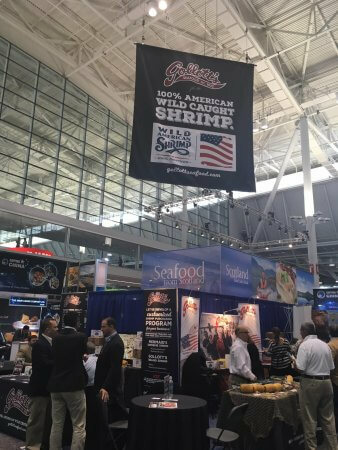 This year we were invited to attend Seafood Expo North America, or as it is commonly called the Boston Seafood Show. 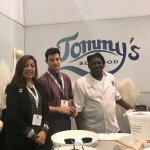 Hundreds of brands and vendors are bombarded by tens of thousands of guests at this global show featuring the best seafood in the world, so naturally we had to be there to represent our clients – Wild American Shrimp, The American Shrimp Processors Association, Biloxi Freezing & Processing, CF Gollot Seafood and more. 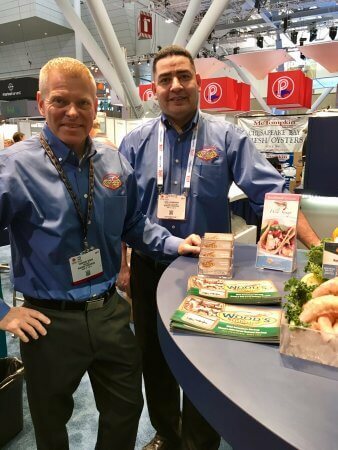 Our main goal at the Seafood Expo was to create new PR opportunities for Wild American Shrimp and to capture some behind the scenes social moments with our chef advocates and processors. 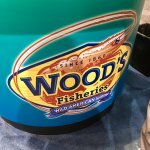 Our team worked alongside our friends at the Louisiana Seafood and Marketing Board to share the value of purchasing a domestic seafood product. While Louisiana is a huge advocate for Wild American Shrimp, they also have major programs in place to support fin fish, crabs and oysters. 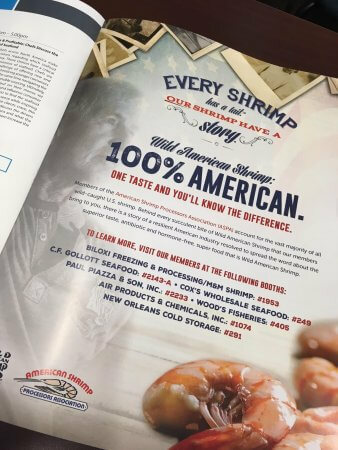 The Wild American Shrimp Processors – these people know this industry better than anyone, and they have a passion for the food, culture and the generational way of life some of these families have known for over 100 years. 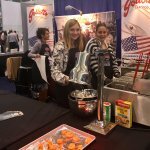 The Chefs – so many great chefs and we loved seeing their take on the different dishes using Wild American Shrimp. 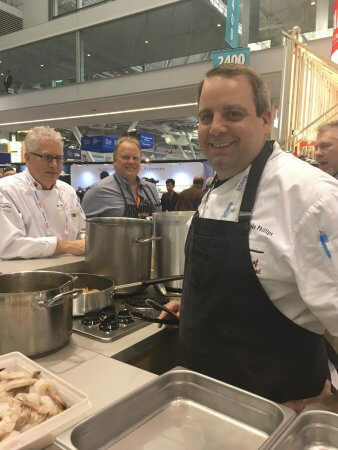 Here’s Garet Hutchinson, a man with a leg in each world, chef AND processor, he shared a little about the relationship between restaurants and suppliers. 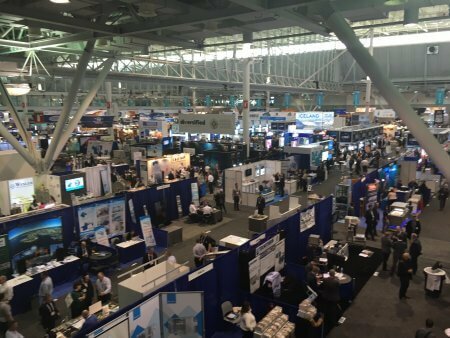 Here’s a little look at our experience from the show this year. The American Shrimp Processors Association (ASPA), based in Biloxi, Mississippi, was formed in 1964 to represent and promote the interests of the domestic, U.S. wild-caught, warm water shrimp processing industry along the Gulf Coast with members from Texas, Louisiana, Mississippi, Alabama and Florida. 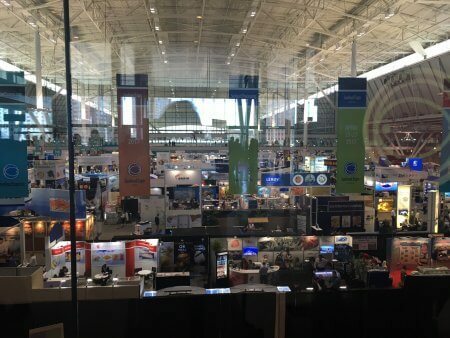 We are the collective voice of the industry, and our focus is to promote the interests of shrimp processors, other segments of the U.S. domestic wild-caught shrimp industry and the general public.